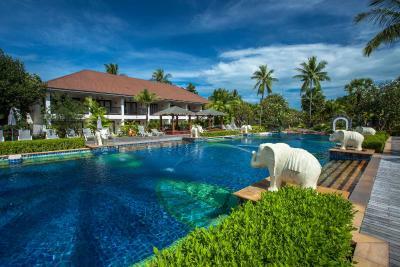 Lock in a great price for Bandara Resort & Spa – rated 8.8 by recent guests! Amazing family rooms design, great pools, perfect location. Excellent customer service. The check in process was excellent. The breakfast was rich and tasty. The room is very clean and comfortable. We stayed in family room which was sparious and can easily fit 3 children. 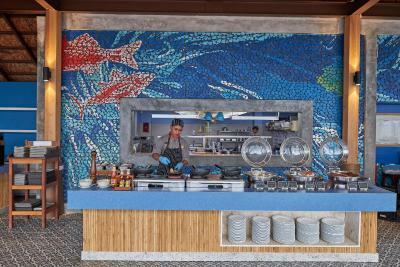 Very good location, close to Fishermans Village, big pool area, the breakfast close to the seashore. 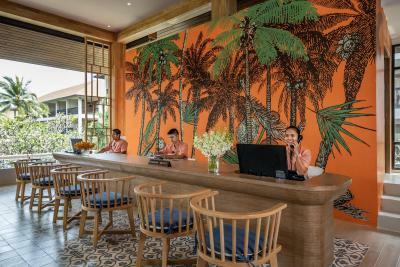 Stefan from front desk is really helpfull and can give you usefull information about everything you need to know about the island. What we mostly liked about the room was sitting in the evenings on the big terrace with a huge bed and a cooling fan. The hotel is beautiful. Facilities are great and staff are even better. We stayed in the pool villa suite and the pool is amazing but attention to detail in the rooms is lacking after renovations. 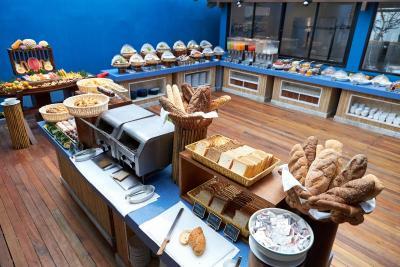 Breakfast has a large variety and food quality is really nice. Place was great, friendly staff, every thing was done professionally and swiftly. 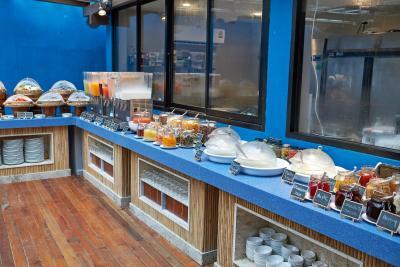 Rooms were cleaned once a day, fresh fruit replenished in our room every day. They even provide a tote bag to take your things to the beach. The room's interior was designed originally and rather smart. Location was near fisherman village and the wharf which is the main touristic attraction in Bophut. We had an amazing stay at Bandara Resort and Spa from 14th-18th june.Be it the pre stay enquiry services or support/services during our duration of stay,the staff at bandara resort surpassed our expectations.A special mention to Stefan here who is very amicable , friendly and supportive.I would also like to wite about the amazing breakfast buffet.The concept of beach side breakfast was cherry on the cake for our trip to koh samui.We totally totally loved the experience at bandara resort.The resort location,food,staff, cleanliness and ofcourse the pool and parks deserve a second visit aoon.Banadara people please expect us in your resort soon.Thank you. The pool is very large and nice. The room I booked has a small pool outside for relaxing and has a very large bath tub for couple to have bath together. The cafe for breakfast or dinner does not have air-conditioning and is simply decorated but there is not many fly or insect. 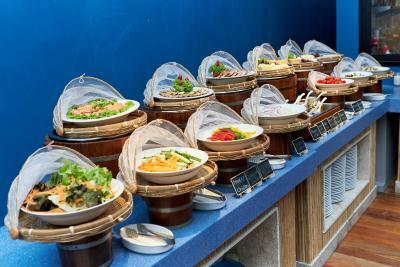 The food quality is really not bad, especially the ordered dish for dinner. 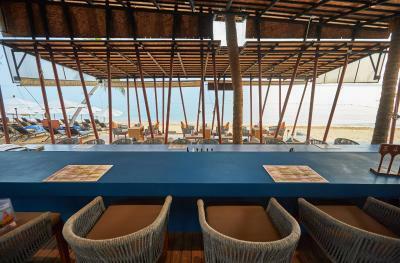 The hotel is located close to the tourist hotspot with a huge variety of restaurants, shops and services. Although the hotel’s facilities looked somehow aged, the cleanliness was without doubt. Friendly staff. Everything at Bandara was magnificent! The rooms are wonderful and all the staff is super helpful! Would definitely recommend any friends or family to stay there! We didn’t want to leave! Bandara Resort & Spa This rating is a reflection of how the property compares to the industry standard when it comes to price, facilities and services available. It's based on a self-evaluation by the property. Use this rating to help choose your stay! 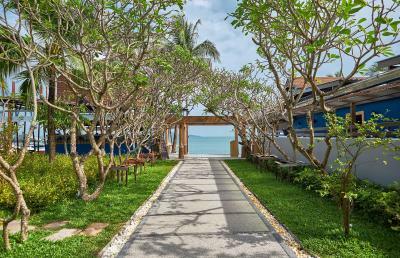 One of our top picks in Bophut.Steps from peaceful Bophut Beach, Bandara Resort and Spa offers 4-star rooms with free Wi-Fi private balconies overlooking tropical landscapes. 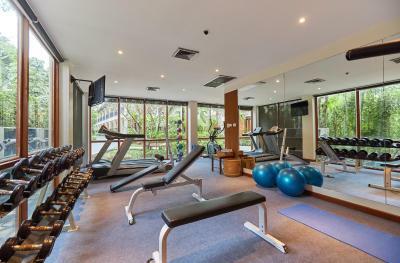 It features 4 pools, a fitness center and free parking. 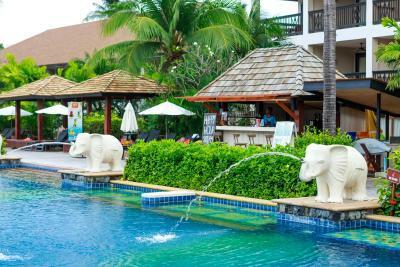 Resort Bandara is a 5-minute walk from Walking Street at Bophut’s Fisherman’s Village. 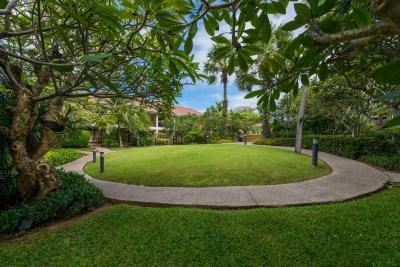 It is within a 15-minute drive from popular Chaweng Beach and Samui Airport. 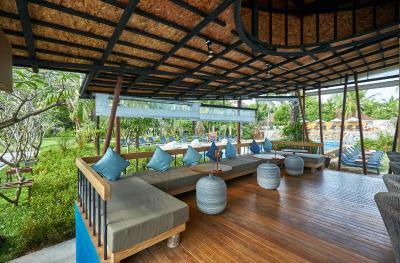 Modern Thai-style rooms at Bandara Resort are spacious and feature an entertainment system. They are fitted with a safe, fridge and ironing facilities. Large bathrooms have a bathtub, hairdryer and toiletries. 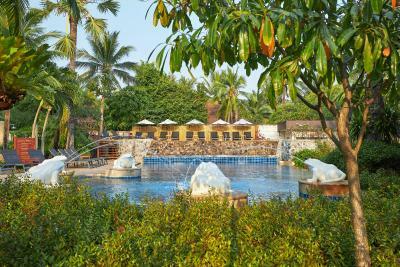 Guests can lounge by the large outdoor pool or indulge with traditional Thai massages at Bandara Spa. A tour desk helps with trip planning and travel arrangements. 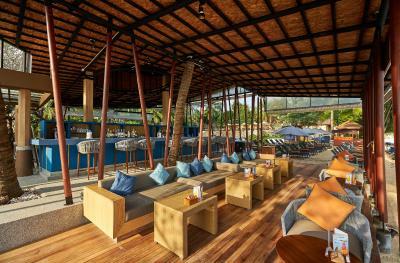 Bandara Resort also has a kid club and a gift shop. 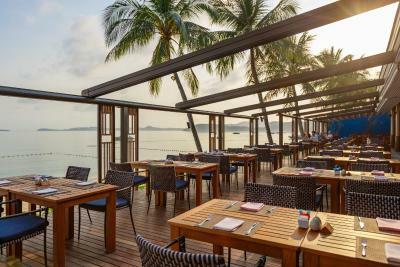 A range of Asian and European dishes can be enjoyed on the beachfront or in the tropical garden. 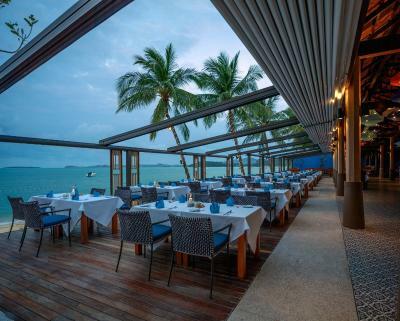 Chom Dao Restaurant also offers fresh seafood, steaks and barbecued dishes. 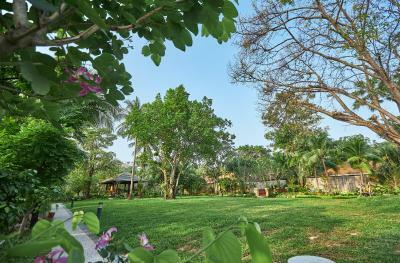 뀐 Located in the top-rated area in Bophut, this property has an excellent location score of 8.9! 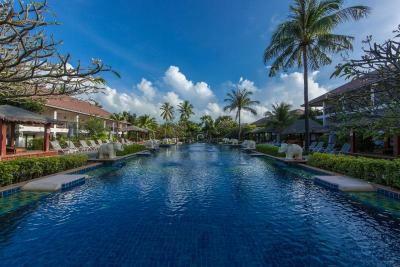 When would you like to stay at Bandara Resort & Spa? Features large private balcony and spacious bathroom with separate shower area. 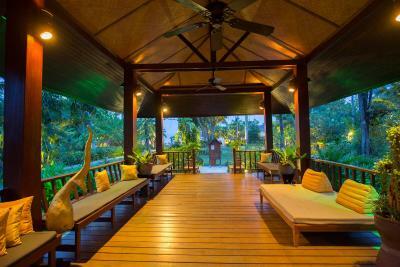 Features a private garden, plunge pool and sundeck. It also has an outdoor sunken bathtub and rainshower. 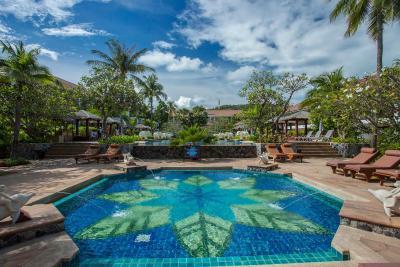 Spacious suites feature a private pool and a bathroom with a large bathtub and separate shower facilities. 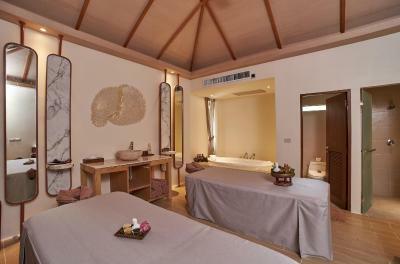 The room features large private balcony with garden view and spacious bathroom with a premium jet massage shower. Please note that that twin rooms cannot accommodate an extra bed. 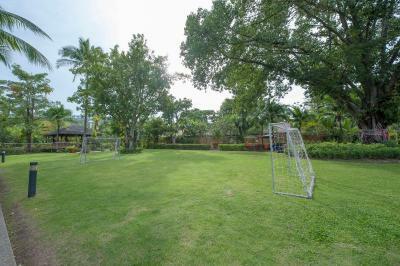 Offering both privacy and fun, this family room comes with a separate kid's area with bunk bed and a playing area directly access to a lawn and kid's swimming pool. Divided by a sliding partition, the parent's zone features a king-size bed with an private bathroom equipped with double shower heads and sinks. Please note that this room type cannot accommodate an extra bed. Children over 11 years of age are not allowed in this room type. 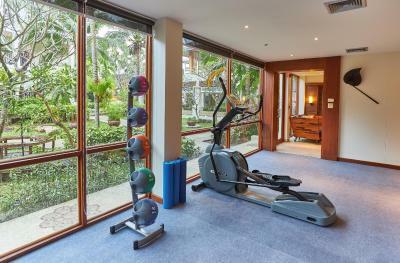 Located on top floor with high ceiling, this room features a mini-bar, a premium jet massage shower and garden view. This twin/double room has a balcony with garden views, seating area and mini-bar. Bathroom comes with a jet massage shower. 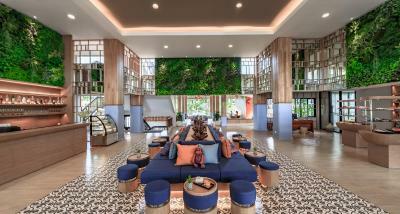 House Rules Bandara Resort & Spa takes special requests – add in the next step! 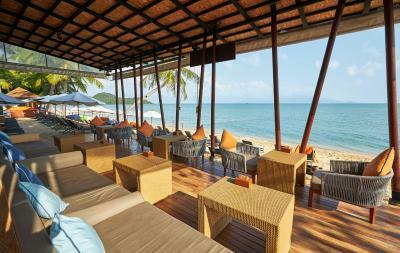 A THB10000 damage deposit is required on arrival (around USD314.64). This deposit will be fully refunded 14 days after check-out, as long as there isn't any damage to the property. 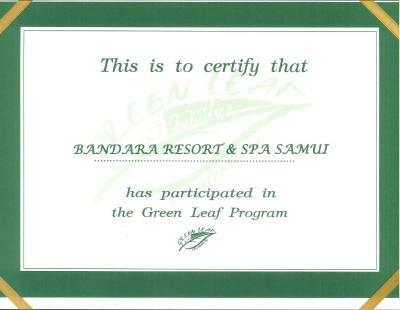 Bandara Resort &amp; Spa accepts these cards and reserves the right to temporarily hold an amount prior to arrival. 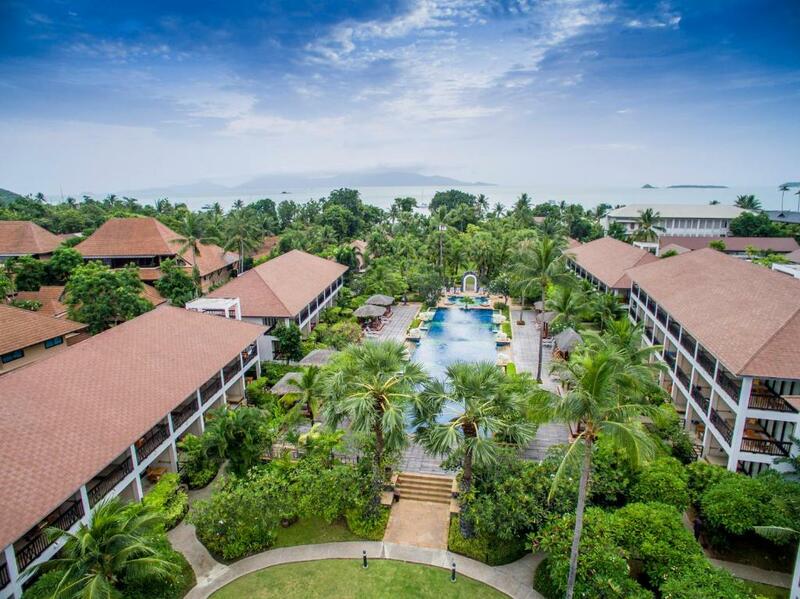 Bandara Resort & Spa accepts these cards and reserves the right to temporarily hold an amount prior to arrival. 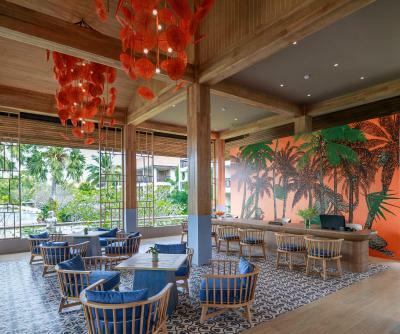 Please note that the name of the credit card holder must be the same as the guest's identification card.The same credit card must be presented to the property upon check-in. 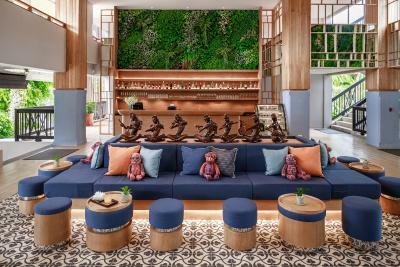 In the case that guests fail to present their credit card, guests will be requested to settle a new payment when checking in. The hotel may contact the cardholder for verification purposes. 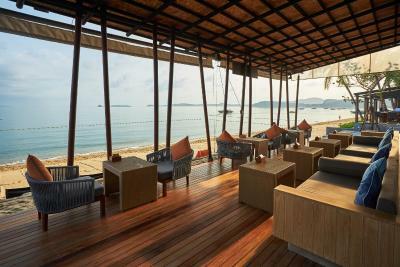 A damage deposit of THB 10000 is required on arrival. That's about 314.64USD. This will be collected by credit card. You should be reimbursed within 14 days of check-out. Your deposit will be refunded in full by credit card, subject to an inspection of the property. Loved everything!! 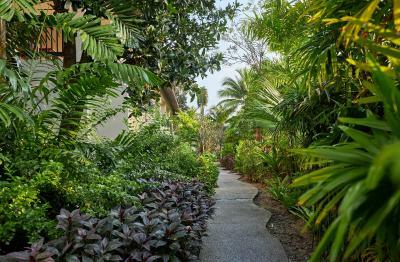 The best part was the landscaping of the hotel it 100% felt as if you are in the middle of a tropical paradise. Pools were great. 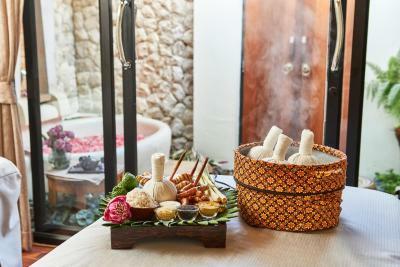 Rooms were tastefully decorated with all possible amenities needed. Breakfast and the breakfast area were both amazing. The beach was not overly crowded as on the Chaweng coastline so it was good. Walking distance from fisherman’s village. Staff excellent! Sea is really dirty there, some days it was totally uncomfortable to swim in this kind of water mixed with a dust. However beach is clean and very nice. Restaurant has very limited variety for dining. 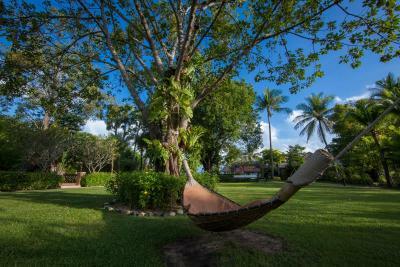 The recently refurbished rooms are very spacious and comfortable with a large balcony with daybed. 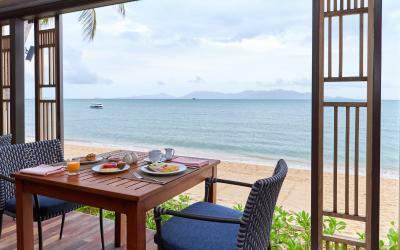 The breakfast is served overlooking the beach with a very good choice. 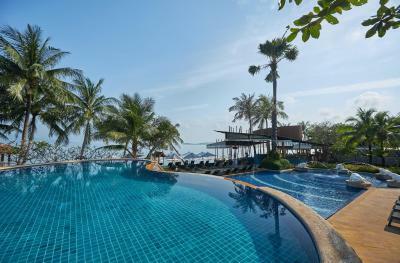 There are 3 pools and the beach so never a shortage of sunbeds. The location is great, a 5 minute walk along the beach to fishermans village. I felt it was overrated compared to much less expensive and far nicer hotels on the island. I was disappointed that the spa was nowhere near as good as I expected. It’s just basically treatment rooms and nothing else. You even have to pay to use the jacuzzi bath and it’s £25 for just 30 mins ! Also children are allowed in the spa - never heard of that before. I’ve been to far better spas in UK hotels. 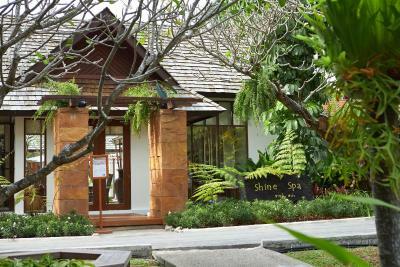 Prices are same as in UK which is crazy as massages and spa treatments are everywhere in Thailand. Beach area is cramped and nothing special. Pools are nice but again, nothing special. Staff ok but just look rather disinterested. 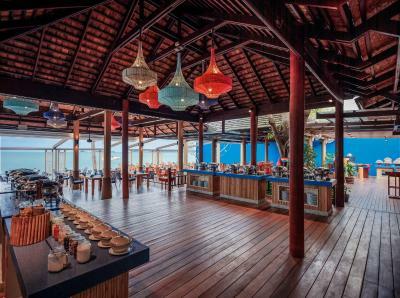 Price of food and drink ridiculously high compared to other hotels on island. 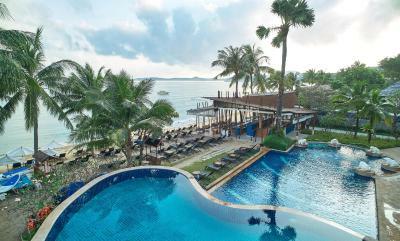 If all you want to do is stay in one hotel where you can get food and drink 24/7 but pay through the nose for it (and you could be anywhere in the world) then this hotel is fine I suppose, but get out and explore Koh Samui and you’ll find plenty of lovely hotels with much prettier and nicer facilities for a much cheaper price. Also - use spas on street. You’ll get more personal and better service for fraction of price. 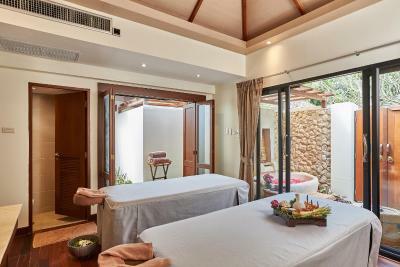 I booked this for the private plunge pool room which was fantastic, and also because it wasn’t too far from airport for our last 2 nights, but otherwise I wasn’t impressed. 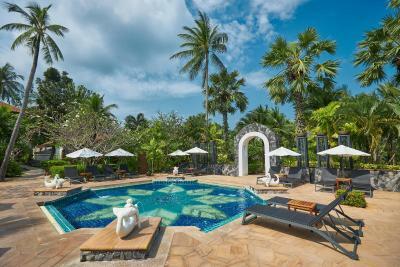 Choice of 3 gorgeous pools. Food was excellent with a lot to choose from. Gardens are stunning, staff super helpful. 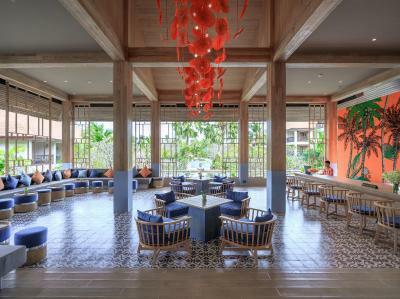 Resort is located just a short walk from Fisherman’s Village for all your shopping , massages , restaurants. 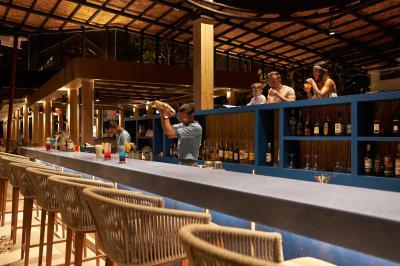 Though resort also caters for everything so you really needn’t leave the resort . 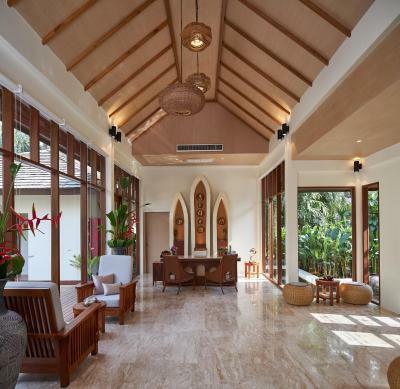 We stayed in a private pool villa with out door shower and sunken bath and it was Devine . Gym was also clean and up to date with equipment along with good air conditioning . Although breakfast was excellent and a snack lunch tasty, the evening Thai dinner we had was poor. Would recommend exploring the numerous options close-by. Overall it was such a good experience, I couldn’t complain. Too many mosquitos and not enough shade in the pool. The hotel despite being newly renovated is not the newest: pool area is big and looks nice from far but looking from closer it has seen better days(once they were umbrellas next to poolside, today nowhere to be found, pool looked like it had a jacuzzi function, now wasnt working). Breakfast selection was ok, but nothing really special.